The Chess has 100 adjustable playing levels based on the engine "Crazy Bishop" with very high quality graphics! - Adjustable playing strength from 100 levels! 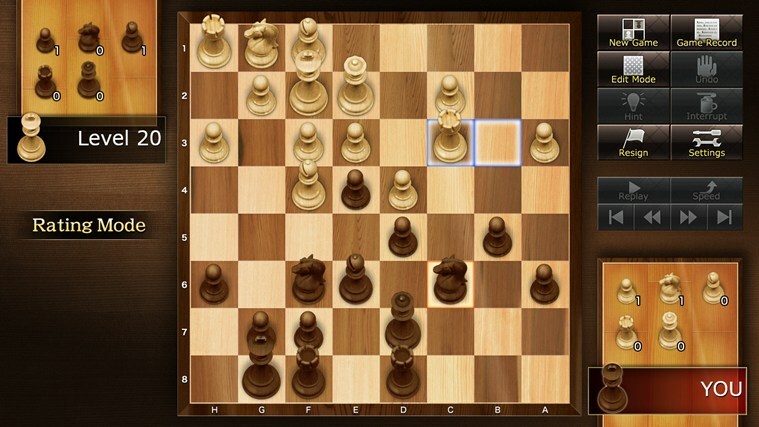 You can choose the strength of the computer from 258 to 2300 in ELO rating. Level 1 is extremely weak, and Level 100 is extremely difficult to beat! - Challenge to win medals by defeating computer! You will be rewarded new board style and pieces design by collecting medals. ♦ Adjustable playing strength from 100 levels!